This piece first appeared on AmyAbbottWrites.com. We were in the Detroit airport, ready to board our flight to Rome. My cell phone rang. Figured it must be an emergency, as we headed over the pond. “Okay, but we’re boarding in a few minutes,” I said, checking the time on my Smart Phone. Not our usual call. My mother died ten months before after a long siege with vascular dementia. Dad cared for her until three weeks before her death. He could not longer lift her. 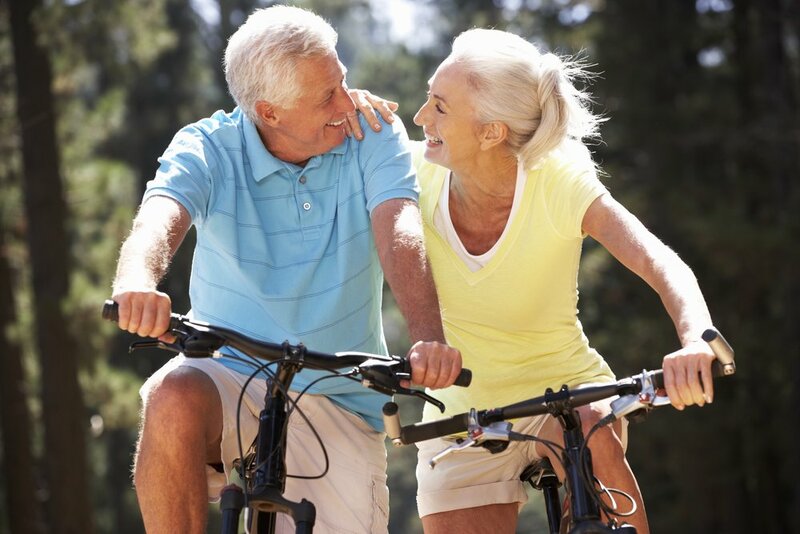 She moved to a skilled nursing facility within their retirement complex. He had never asked my permission or approval for anything. The last time I discussed anything with him was when I informed my parents I was going to graduate school. They weren’t delighted. Their affirmation shortly came when I told them I had a job on the alumni magazine. “Of course,” I told him. “You deserve some happiness.” I hung up, and we boarded the plane. Dad had kissed a few female frogs before he found a princess. I didn’t think much of it until he found someone special. His princess, four years later, is now a part of our family. They’ve stayed in their respective apartments in different levels of care. I took my time getting to know her. Now we’re friends. I’ve learned a few things along the way that I want to share. They often double date with my brother and his significant other. They go to the symphony, new restaurants, and drives in the countryside. Respect their privacy. You expect privacy in your relationship, give them privacy in theirs. Some issues are none of your business. Period. They aren’t seventeen and sneaking someone in through the back window. Don’t shut down the memories of your loved one. My parents were married for 57 years. His friend has her memories and her past. Neither of their histories is going away. Learn to be comfortable talking about your loved ones, but don’t forget to ask about her loved ones. I recognize the gift of having parents in a long-term, intact marriage. When they first had a picture taken together for her church directory, that was difficult for me. Dad did not remove pictures of my mom, much as he has not removed her from his heart. Dad added his new friend to our mix. The addition didn’t take away the past. Appreciate her good qualities. For God’s sake, don’t compare her to your mother. Again, she’s not your mom. She’s somebody who bought your brother a hula skirt and made him wear it. I swear, if she had the coconut bra, she would have given him that as well. She gets Dad out of his comfort zone sometimes. Get over yourself. It isn’t your life. 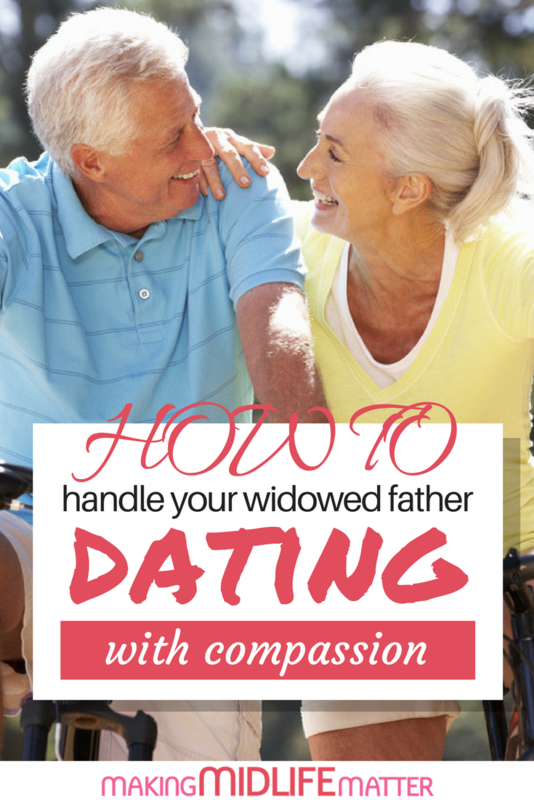 As you accept your children’s relationships, accept your widowed parent’s relationship. Make your judgment and don’t let others sway you. Recognize not everyone is going to be happy about his new life. Our human nature is to resist change. Adjusting to the new normal takes time. I had a wonderful mother for 55 years, and her memory did not vanish when she passed. When a family member has dementia, you learn to accept change on its terms. You have a choice. Sit on your behind and mourn, or move forward.